The new houseguests have arrived! This week, CBS announced the new contestants for season 18 of Big Brother. Earlier, we reported that CBS is making the upcoming season more available than those previous, with streaming options on CBS All Access, Roku, Apple TV, Chromecast, On Demand, and more. 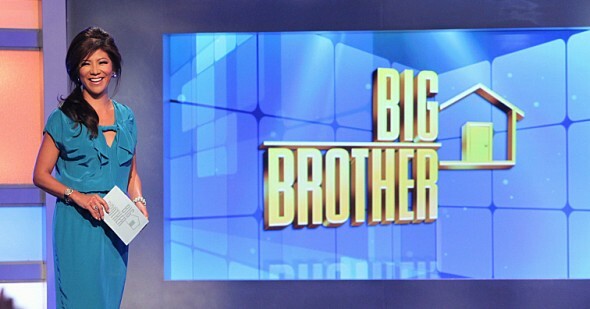 The three-hour premiere of Big Brother begins on June 22nd at 8 p.m. ET/PT and continues on June 23rd at 9 p.m. ET/PT. CBS announced today 12 Houseguests who will embark on a new season of BIG BROTHER during a record 99 days inside the house. BIG BROTHER’s three-hour premiere spans two nights, with two hours on Wednesday, June 22 (8:00-10:00 PM, ET/PT), and one hour on Thursday, June 23 (9:00-10:00 PM, ET/PT), on the CBS Television Network. Julie Chen returns as the host of the hit summer series. This season’s new twists will be announced during the two-night premiere event. Details about the house will be announced shortly. Following the two-night premiere, BIG BROTHER will air Sundays (8:00-9:00 PM, ET/PT), beginning June 26; Wednesdays (8:00-9:00 PM, ET/PT), beginning June 29; and Thursdays (9:00-10:00 PM, live ET/delayed PT), beginning June 30, featuring the live eviction show hosted by Julie Chen. Last summer all three editions of BIG BROTHER ranked among the top 10 summer series in adults 18-49, adults 18-34 and adults 25-54. BIG BROTHER follows a group of people living together in a house outfitted with 87 HD cameras – seven more than last year – and more than 100 microphones, recording their every move 24 hours a day. Each week someone will be voted out of the house, with the last remaining Houseguest receiving the grand prize of $500,000. BIG BROTHER is produced by Emmy Award-winning producer Allison Grodner and Rich Meehan for Fly on the Wall Entertainment, in association with Endemol Shine North America. What do you think? Are you a fan of Big Brother? Will you watch the new season? More about: Big Brother, Big Brother: canceled or renewed?, CBS TV shows: canceled or renewed?